After six seasons, the reality TV series Jersey Shore is coming to an end. 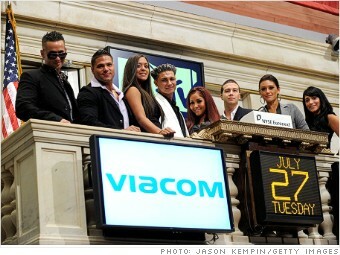 It's been a lucrative run, but what will Snooki, the Situation and the other cast members do after the party's over? After six seasons, MTV's reality show Jersey Shore is finally coming to an end. But with job skills like binge drinking, dancing, fist-pumping, brawling, smooshing, attempting to hook up and getting arrested, how will this group of Jersey girls and gorillas make ends meet once the final curtain falls? After three years of hard-partying, the stagnant job market doesn't seem to offer them much promise. But fear not, each of the cast members must have a plan to cash in on their newfound notoriety, right? Their plans better work or they're in for one hell of a hangover.